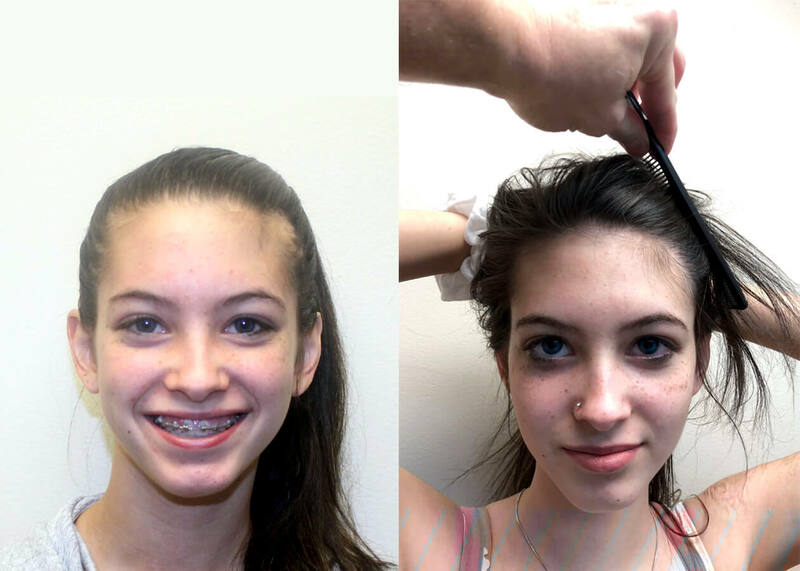 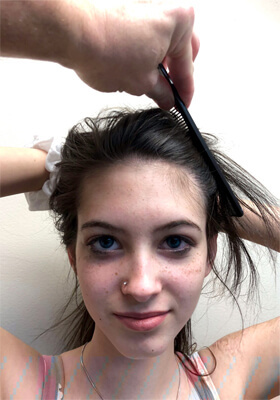 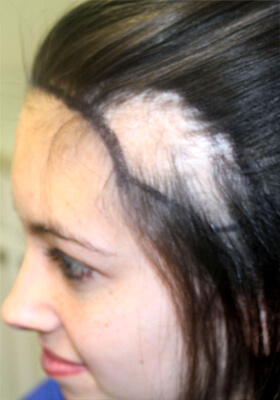 Burn Patient Gets Hair Back After Lifelong Struggle with Scars. 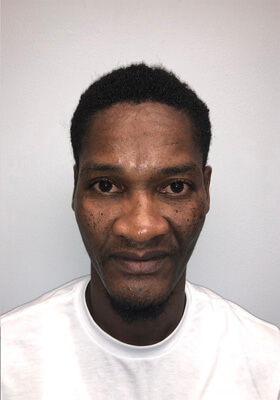 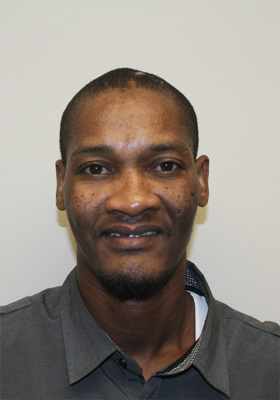 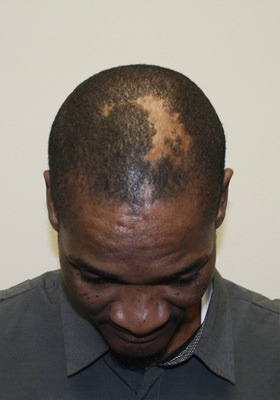 As a small child, Rahim suffered extreme burns and hair loss when a pot of boiling water was accidentally spilled on his head. 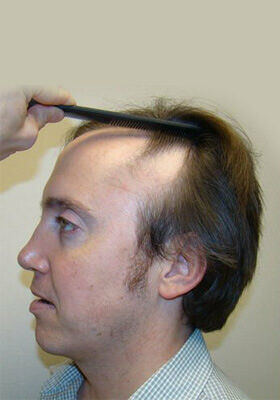 He endured years of low self esteem and humiliation due to the unusual scarring and balding. 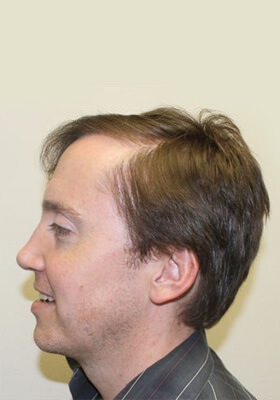 Jeff was born with a birth defect where the hair did not grow on the side of his head. 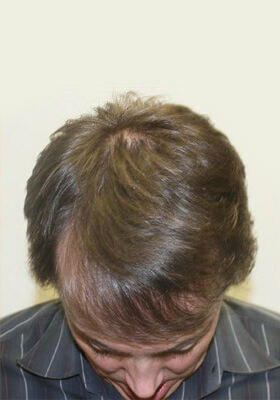 As a young man he camouflaged it by covering the empty space with hair. 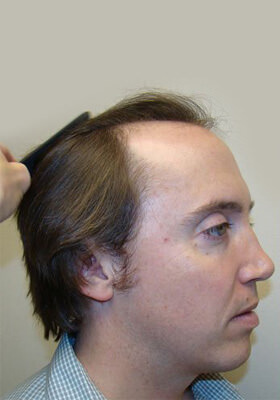 As he began to experience male pattern baldness, it became more difficult to hide. 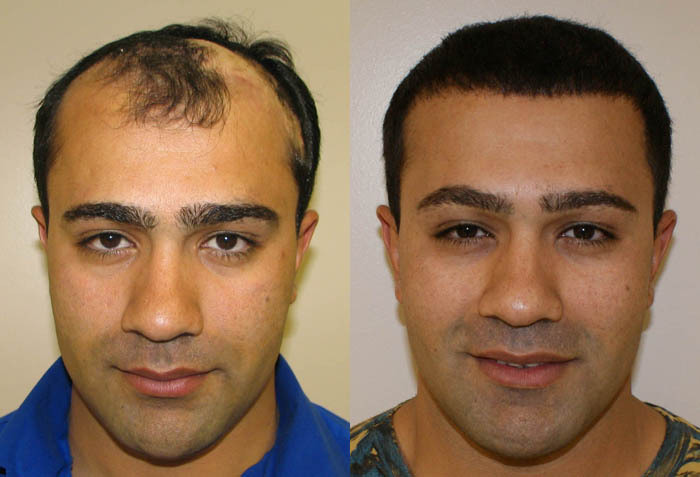 That's when he decided to go to Great Hair Transplants to take care of his birth defect once and for all. 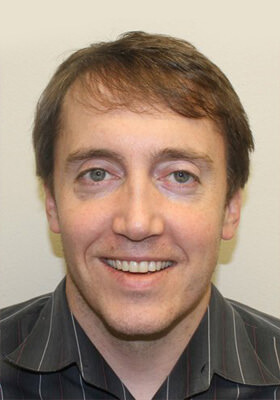 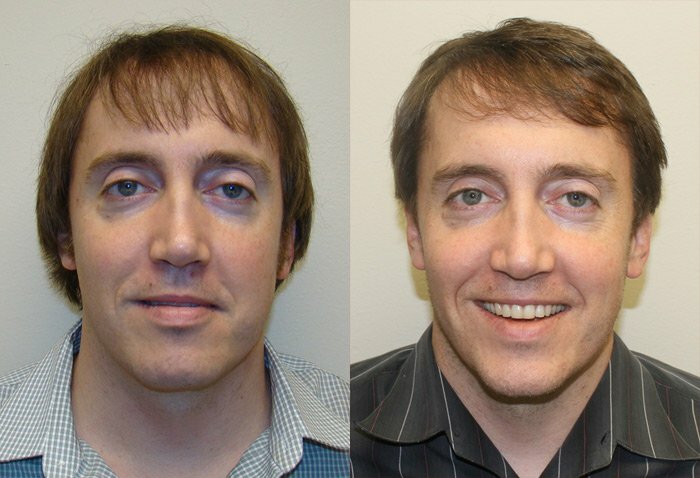 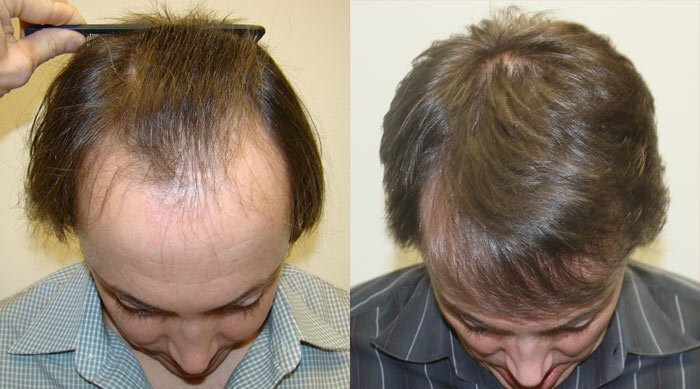 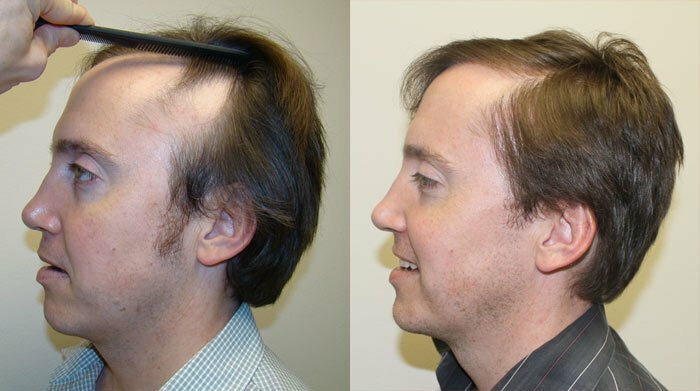 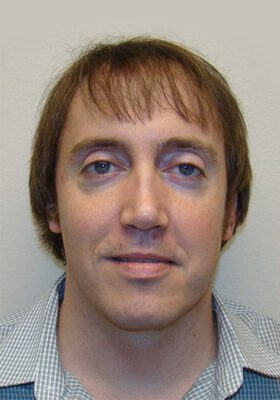 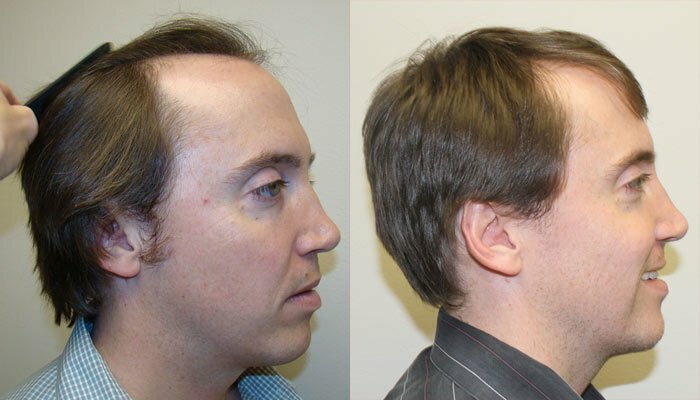 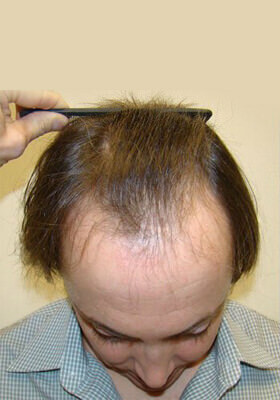 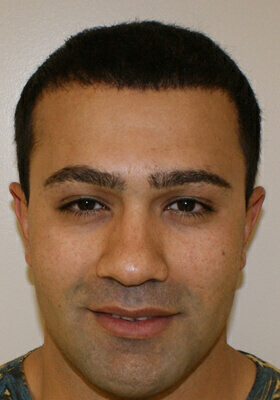 Dr. Brett Bolton hair transplant surgeon performs his hair transplant with miraculous results. 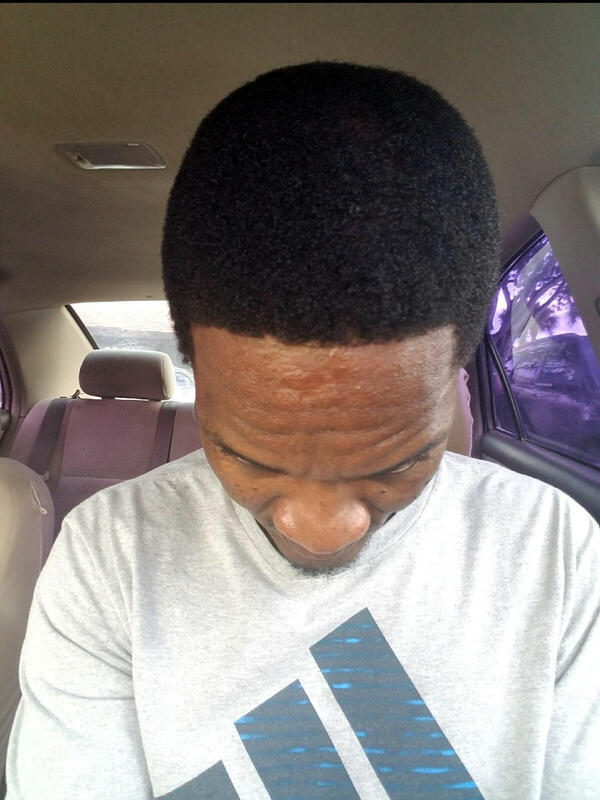 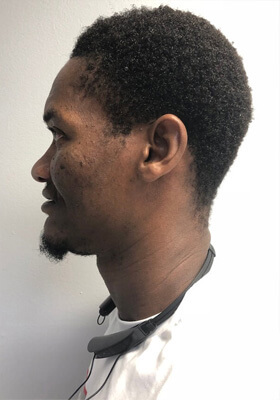 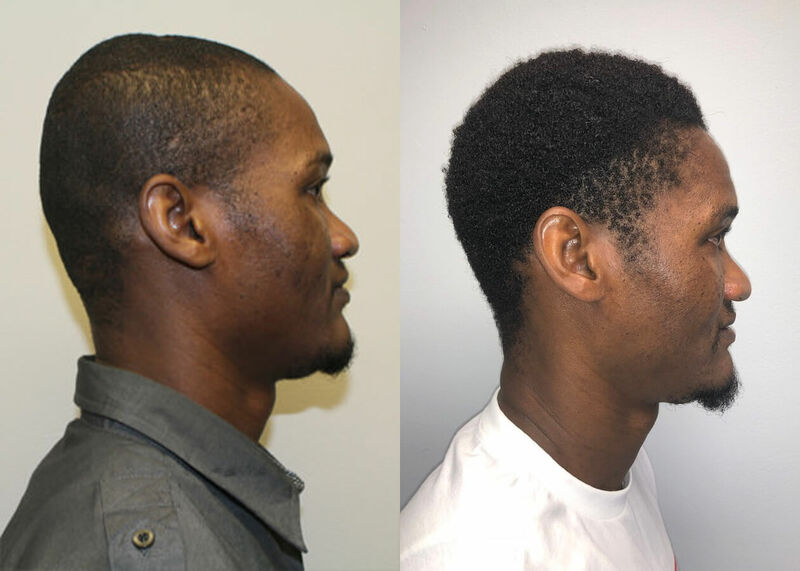 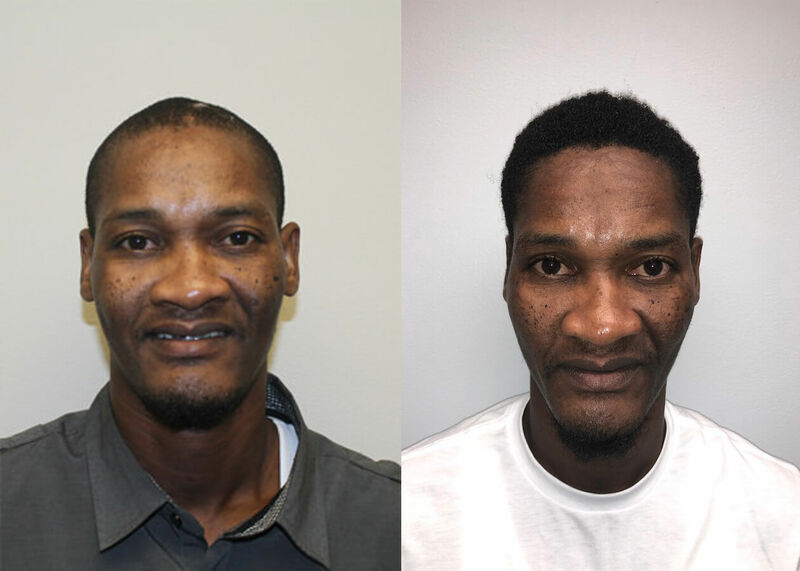 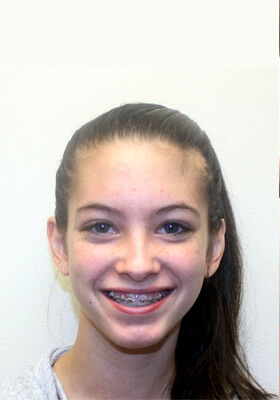 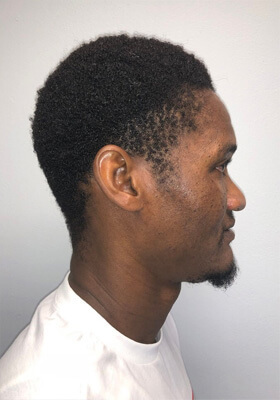 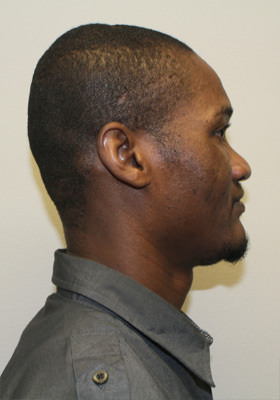 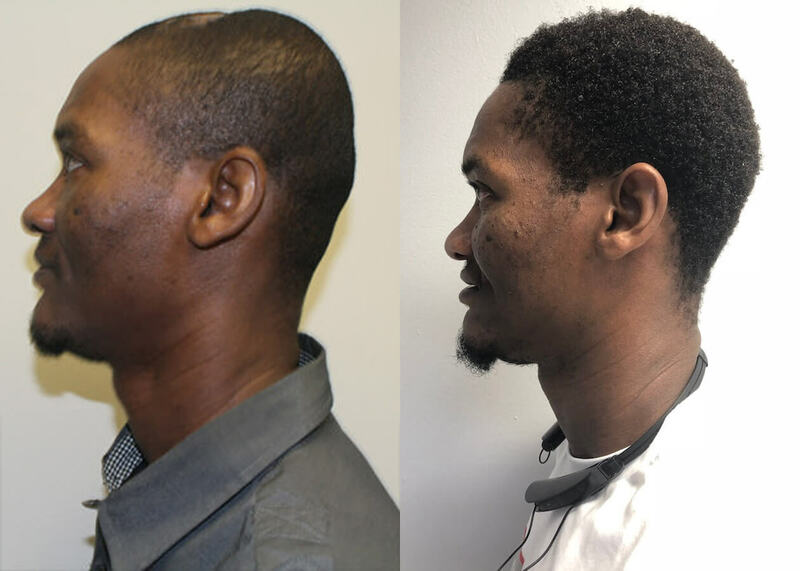 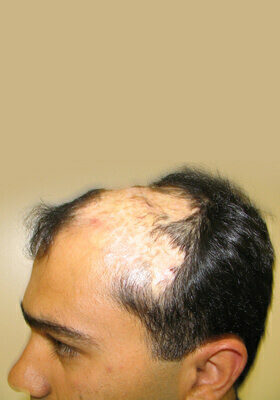 His patient was burned as a child and needed corrective hair surgery. 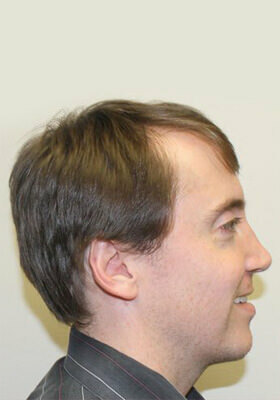 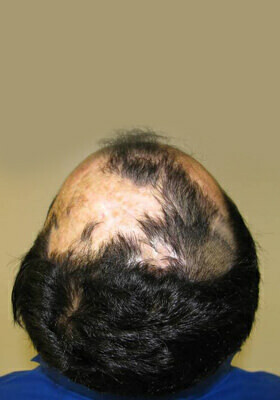 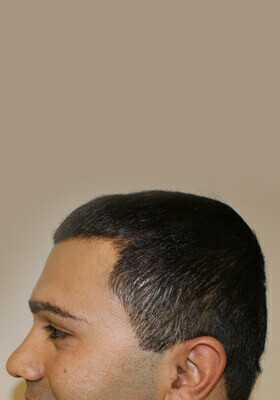 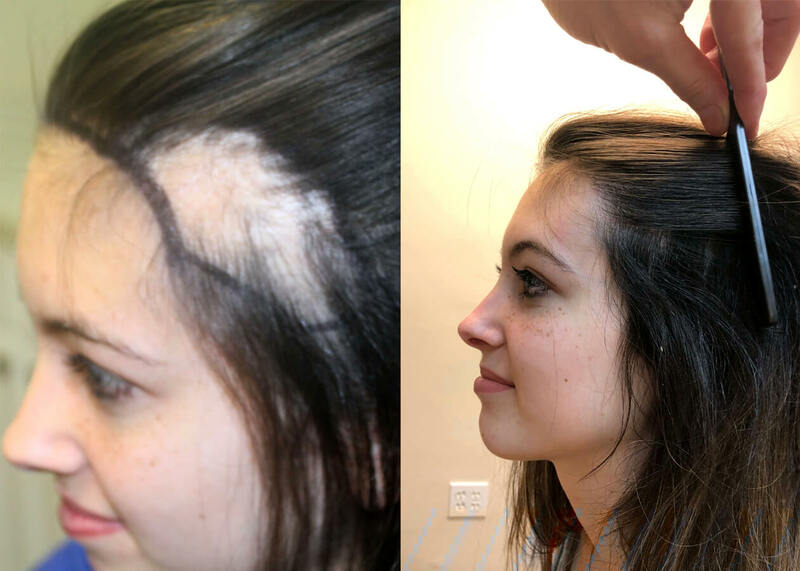 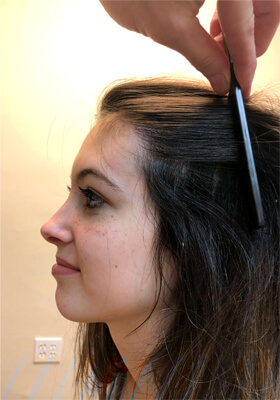 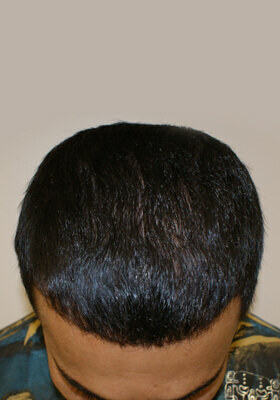 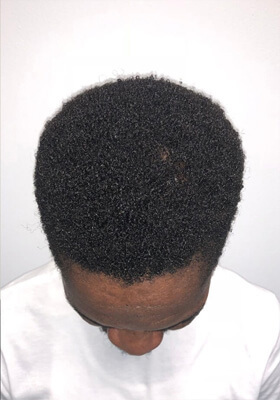 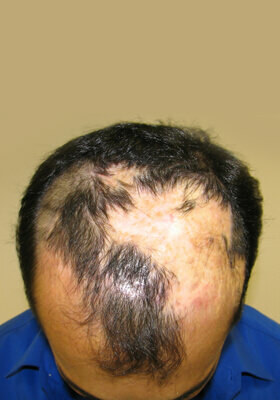 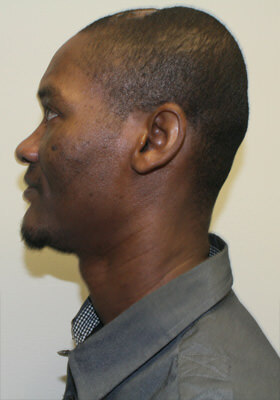 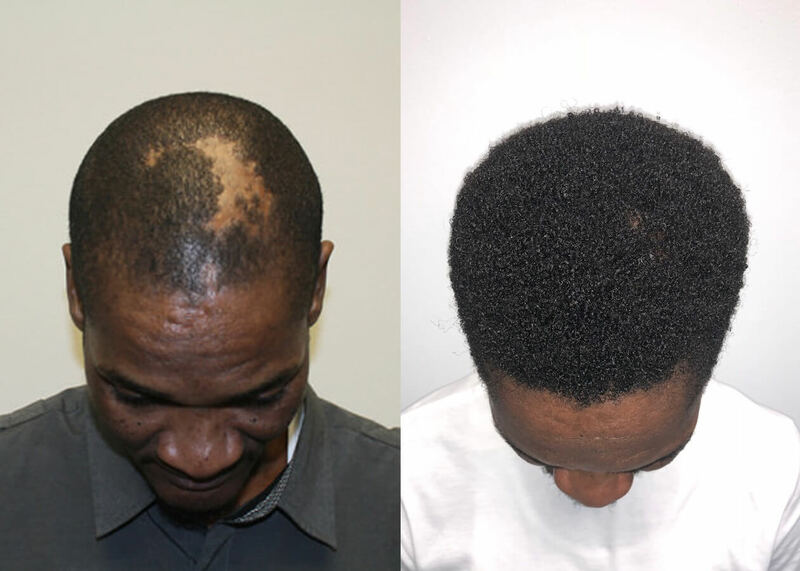 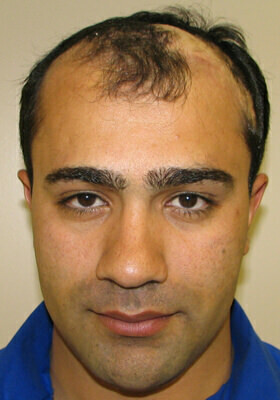 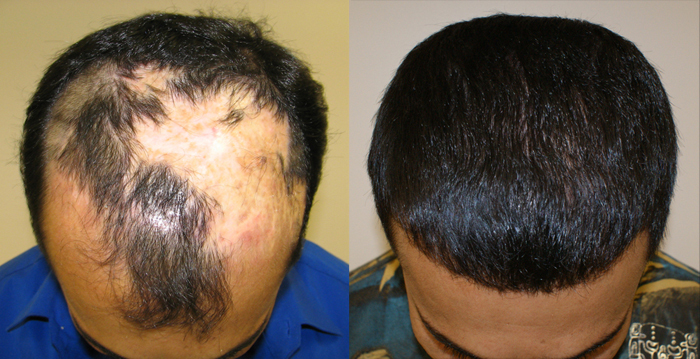 This result could not be attained with an FUE (Follicular Unit Extraction) Procedure. 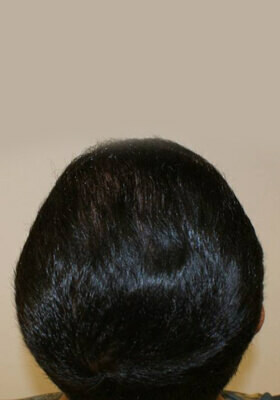 This is not hair plugs, this is a MaxHarvest™ hair implant procedure.